In a landmark report issued last week a prominent UK parliament committee urged their government to do more to help smokers switch to vaping. In a strongly worded set of conclusions they condemned vaping bans and suggested the elimination of anti-vaping laws imposed by the EU. There was also movement in Australia, where a state branch of the ruling Liberal Party called for an end to the country’s ban on nicotine liquids. It is laudable that a doctor is open enough to ask for information on a topic so he can improve his understanding of an issue, as Dr. Stephen Gulliford has done on social media. But is this a sign of a willingness to learn or is it nothing more than an attempt to troll vapers and continue slurring a technology that has helped millions to free themselves of tobacco addiction? Until recently, walking past groups of folk puffing away outside big office blocks and shopping centres invariably meant being engulfed by a thoroughly unpleasant fug of cigarette smoke. These days it’s just as likely to be the scent of peach melba cheesecake, toasted caramel, mango tango or some other overly-sweet scent you can’t quite put your finger on that immerses you for a brief second then instantly disappears into the ether. World Health Organization’s Framework Convention on Tobacco Control (WHO’s FCTC) is the most influential tobacco control enterprise in the world. Consumers in rich Western countries may not often notice FCTC’s impact because their dominant domestic tobacco control, such as the FDA in the US, are large and powerful enough to set their own agenda. But even in the West, FCTC’s agenda creates marching orders that a lot of tobacco control organizations follow. Thus, all heat-not-burn consumers should feel some trepidation about FCTC slowly getting organized to attack them. Are ecigarettes bad for your health? Are e-cigarettes a good way of getting people to give up smoking or just another way of feeding people’s tobacco addiction? Darren Dodd discusses different attitudes towards e-cigarettes and vaping in the US and Europe with the FT’s Camilla Hodgson and Linda Bauld, an expert in cancer prevention and tobacco control. This guidance supports clinicians in their conversations with patients on the different available options for stopping smoking and their effectiveness. Different approaches suit different people so if the first thing a smoker tries does not help, they should try another way. This week saw the media whipping up a fear-driven agenda, based on very little data, on claimed damage to lung cells. It, and positions taken by irresponsible organisations like The Truth Initiative all feed into a growth in ignorance. Action on Smoking and Health UK (ASH) warns that this could places lives at risk in the future. Vaping regulations should be relaxed, according to a group of British MPs. 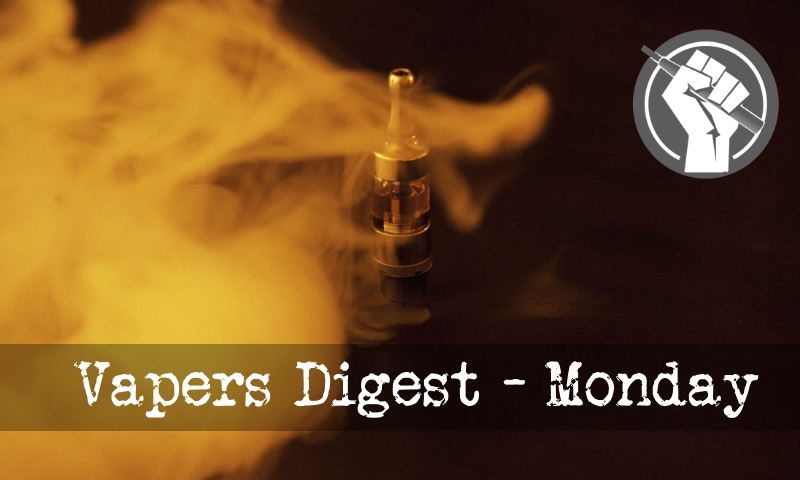 The Science and Technology Committee in the UK Parliament has released a report calling for advertising rules to be liberalized, limits on nicotine levels to be increased and for the legalisation of vaping in more public spaces. In bringing down the barriers to entry, the British Parliament could create an environment ripe for entrepreneurs. Welcome back to this blog. As many of you know, The Daily Vaper, where I published most of my good material for a year, has ceased publication (the articles, fortunately, are still archived at my author page at dailycaller.com, and they redirect from the original links if you have used those somewhere). I also recently did a “best of” Twitter thread highlighting some of what I wrote there (and here and elsewhere). After years of encouraging terrible state and local vaping laws by promoting the belief that “no tobacco product is safe” and that vaping isn’t proven to help smokers quit, the federal government wants to know what the results have been of its long and determined effort to bury vaping. The National Institutes of Health is spending $1.4 million to fund a study looking at the results of vaping regulations. That’s a lot of cash for information almost any vaper could have given them for free. Technological advances touch every aspect of our lives, often in ways we rarely think about. Today, we live longer, healthier, and better lives because of our access to innovative products that were unimaginable in the recent past. That’s why it’s critical for regulators to make timely and common-sense decisions. Yet excessive risk-aversion is endemic at federal agencies. Low- and middle-income countries have the highest burden of harms associated with cigarette smoking. But, little to no affordable tobacco harm reduction products are available in Africa yet. E-cigarettes have gained much traction across the globe but not so much so in Africa. The available vape products retail at an average 30$, making them less affordable to millions of smokers in need of safer alternatives. Last week, the UK government released a report from their Science and Technology Committee once again advocating a more liberal stance on e-cigarettes. After holding five oral sessions, reading through 100 evidence papers and even listening from 25 witnesses — the verdict is clear that e-cigarettes help lower smoking rates. Unfortunately, leaders of the Australian Medical Association (AMA) are not following this sensible advice on the issue of e-cigarettes. The AMA stubbornly and dangerously peddles myths and misconceptions which are steadily being demolished by scientific evidence and patient experiences. Many people are frustrated by the slow progress of the cause to legalise vaping and help smokers reduce harm in Australia. Whilst there is still a way to go, we have made a significant step forward. The WA Liberal party recently passed at its state conference, a motion calling for the legalisation of vaping. This is the first time that either of the major political parties has adopted such a policy in any state. Whilst not binding on the parliamentary party, it certainly gives it direction. The House of Representatives has unanimously adopted a resolution urging the Department of Health (DOH) to promote harm reduction measures, like the use of electronic cigarettes, as part of its national tobacco control strategy. Coauthored by Coop-NATCCO party-list Rep. Anthony Bravo and North Cotabato Rep. Jose Tejada, House Resolution No. 1885 cited the World Health Organization’s observation that smoking appeared to be gradually decreasing in the United Kingdom, where e-cigarettes were popular. As the campaign against the proposed Control of Tobacco and Electronic Delivery Systems Bill rages on with claims and counterclaims from industry players and the health department on its possible negative effects on the economy, it’s important not to forget the person at the centre of it all – the smoker. So said Dr Kgosi Letlape, president of the Health Professions’ Council of SA and co-founder of the Africa Harm Reduction Alliance, this week. There really isn’t any evidence to prove that e-cigarettes encourage teenagers to smoke, and even this new research from the university of Leeds doesn’t prove it. Even the researchers, according to Reuters, “urged caution in interpreting its results, noting that while e-cigarette use has increased in Britain, rates of smoking have continued to fall”. Why is the number of smokers…. This week, The Australian newspaper revealed that the number of smokers in Australia had INCREASED over the last 3 years while falling in other countries. Shocked tobacco control experts have suggested that the rise is simply due to migration or flawed calculations. How can this happen in a country which prides itself on its its outstanding tobacco control record?